A Malaga father braved the early morning rain Monday to answer his daughter's plea to help rescue a kitten stuck in a tree. The 27-year-old woke her father up a little after 5:00 am when she heard meowing coming from the tree in their front yard. 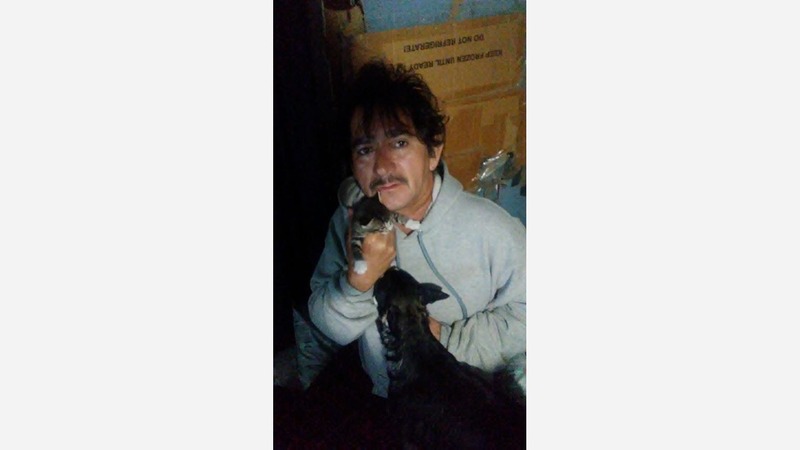 "I put on my sweatshirt and in my PJ's went outside and got my ladder, climbed up our tree and rescued the poor little kitten wet and scared," said Norman Gardea. "My daughter was so happy Dad got the kitten down from the tree in the rain." The family already has a cat and some house dogs. He says they already love the kitten. They're not sure what they'll do with it, but they already came up with the name Tiger. "I would do anything for her," said the proud father. "My only child. Just love my daughter."